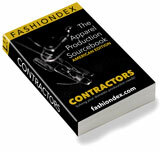 LACORP solving Shirts & Tops production and contracting needs. tops, bottoms, dresses, uniforms & aprons. Compare LACORP with all 35 listings in Shirts & Tops.